Halloween is a season for witches. There are plenty of movies about the dark sisterhood, and even a few great ones. Hocus Pocus is one of the best, in part because it works for audiences of all ages. 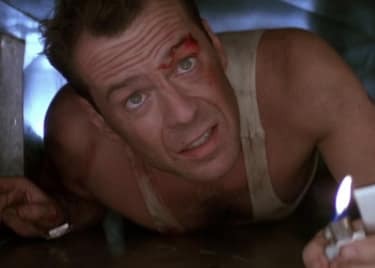 The film snuck in and out of theaters in 1993 but has steadily built a dedicated audience — and this year, it turns 25. To celebrate the new Disney classic, we’re bringing the Sanderson Sisters back to theaters. You can see Hocus Pocus in select AMC theaters from October 26 through Halloween. Fans who grew to love the movie years after its initial release can now see their favorite sisters run amok on the big screen. Few films develop a legitimate cult fandom years after release. So what makes Hocus Pocus so unique? 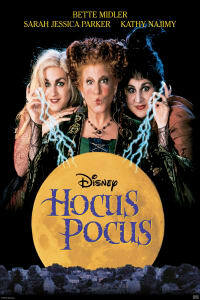 Hocus Pocus is the story of the Sanderson Sisters, a frightening trio of witches. After teen Max lights the Black Flame Candle on Halloween night, he accidentally brings the ancient women back to life. The sisters immediately set out to resume their interrupted campaign of hunting children across Salem, MA. So Max, his little sister Dani, and friend Allison do everything they can to stop the menacing witches from wreaking havoc on their town. Bette Midler, Kathy Najimy, and Sarah Jessica Parker play the sisters. Midler’s buck-toothed Winnie is the oldest, and the meanest. She needles and punches her sisters, and Midler’s performance is pitch-perfect. We love and hate Winnie equally. Najimy’s Mary, the middle sister, is far more conciliatory — but she is the witch best at hunting children, which keeps things creepy. Parker is the youngest sister, Sarah, whose signing voice can draw children to the sisters like moths to a flame. The Sisters are up to true Halloween horrors. They want to maintain their youth, even after three hundred years, by consuming the souls of children in Salem. 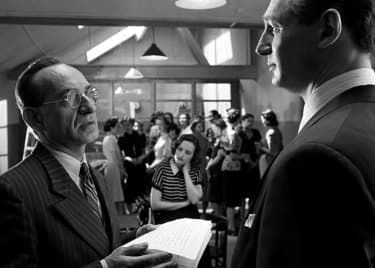 The film’s power comes, in part, from the fact that the story is pretty nasty when you get down to it. There are real consequences for actions. And while the actors thread enough comedy into their performances that it isn’t terrifying, there’s a real scary underpinning to the story, especially for kids. We see that in the supporting characters, too. There’s Thackery Binx, who seems to be a pretty cool immortal talking cat. He’s actually a teenager from the 1600s trapped in the body of a black cat by the Sisters. So that’s weird. We love Binx and his friendship with Thora Birch’s young character Dani, who could easily end up being one of the Sisters’ new victims. Then there’s Billy Butcherson, the zombie ex-lover of Winnie, who chases Max and his group. But Billy and Winnie’s relationship is complicated, and he has harbored a few resentments since he last saw his witchy ex. The decaying corpse eventually reveals that Winifred killed him and sewed his mouth shut. Will the Sanderson Sisters ever dust off their broomsticks for a sequel? It’s still possible. 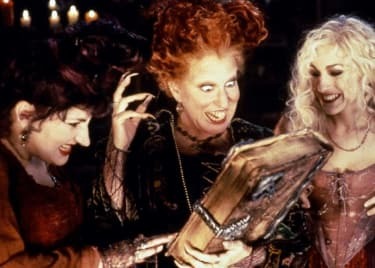 For years, Disney hinted that a sequel to Hocus Pocus was discussed, but nothing came to fruition. There’s certainly room in the story, as the film hints that Vinessa Shaw’s character Allison is a direct descendant of people related to the Salem witch trials, and might even be a good witch herself. Continued interest and a new generation of fandom for the movie might have the ball rolling once again. In September 2017, the original Hocus Pocus screenwriter, Mick Garris, shared that he was writing a sequel for a TV movie. Garris later changed his tune, revealing that his project was a remake, not a sequel. That’s still kind of a good sign, and perhaps could act as a test balloon for a proper film sequel. We would love to see the true Sanderson Sisters flying through the Halloween Night sky once again, even if it meant having to protect our kids from their spells. Tickets are now on sale for Hocus Pocus, playing select AMC theaters between October 26 and Halloween.